Every decision related to your roofing is serious business. You can’t just choose any roofing contractor for the job, as well as pick a material without researching it. The same rule applies when getting repair or replacement services. The good news is somebody has your back when making a choice. As your local roofers in Northwest, Indiana, at Rogers Roofing we understand how difficult it can be to determine whether you need a repair or replacement. It’s perhaps, one of the toughest decisions a homeowner has to make on his or her own. That’s why we are here to help. The thing with roof structures is they can conceal a problem pretty well. Not that it’s intentional, but some roof issues are hard to find because the original source is buried deep within the system. As a result, the last course of action is getting a new roof. This is especially true for leaking problems. If you want to detect roof problems early, what you can do is get a pair of binoculars and make a personal inspection regularly. Upon doing your simple inspections, check if there are some missing and curling shingles. If you found any, it’s best to schedule your roof for repair this early. Don’t forget to check your gutters using your binoculars too; sometimes severe weather can cause sealant failures. Another sign you need roof repair is extreme granular loss. It is normal to see small amounts of granules in your gutter however, if you see plenty of these tiny particles, and then there is something wrong with your roof. • Missing, damaged, and broken shingles. • Moss and algae growth on your roofing. • Interior and exterior damage. A roof replacement can significantly improve your energy savings and indoor comfort. For this reason, many homeowners turn to us, Rogers Roofing, for the quality roof products and excellent workmanship we provide. We are one of your trusted roofing companies in Northwest, Indiana that offer a range of services catering to the needs of your structure. 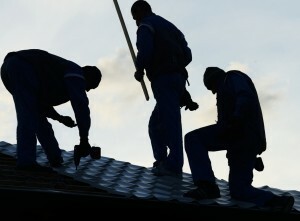 We provide roof repair, replacement, gutter repair, gutter protection services, and storm damage repair. Our teams are fully trained and equipped to install asphalt shingles, concrete tiles, and more. For more information, call us today at (219) 228-8210 or send us a message.